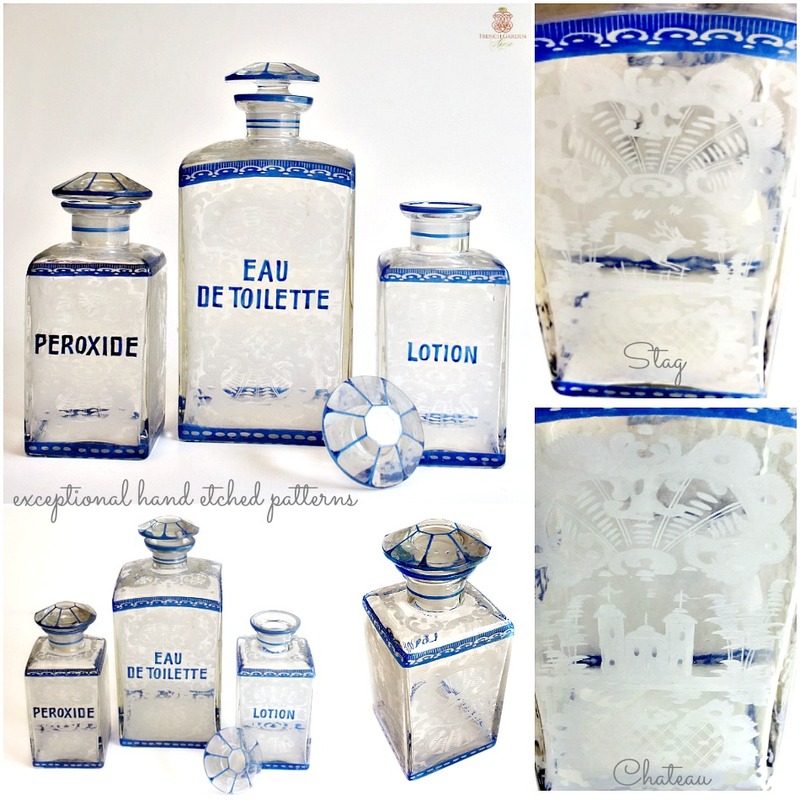 Exceptional rare set to find, this outstanding Antique Bohemian Vanity Set is superb! Each bottle features etched decorations, stylishly typical of Friedrich Ergermann's work, with motifs of chateau, stag, and shell that he originated. 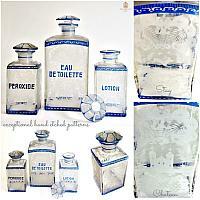 Outstanding in every way, this set would have graced the dressing table of a high society or noble lady. 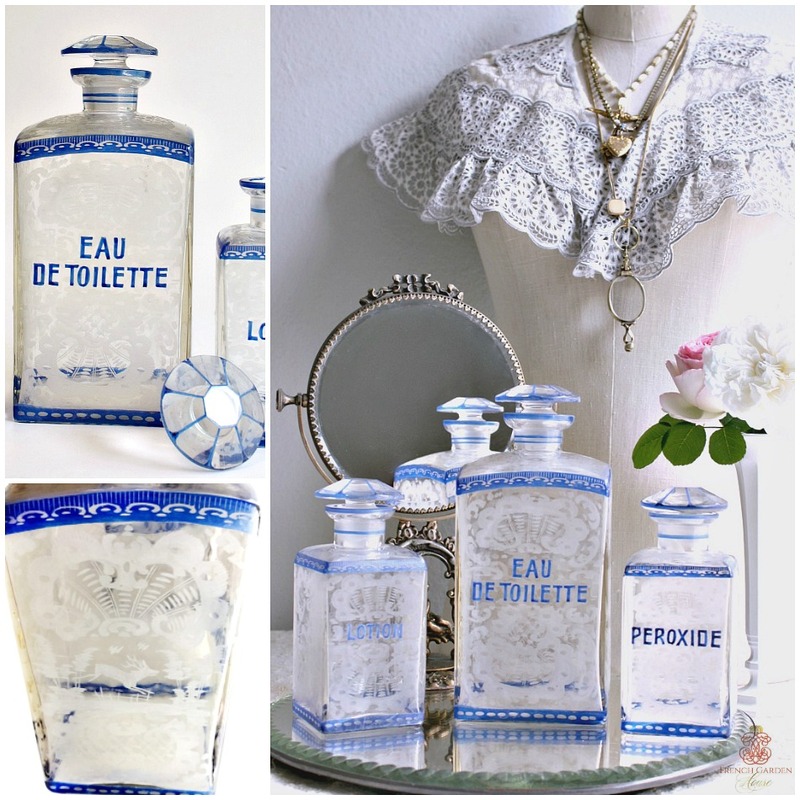 To find a set of three is thrilling, and if you adore blue, it's the creme-de-la-creme. 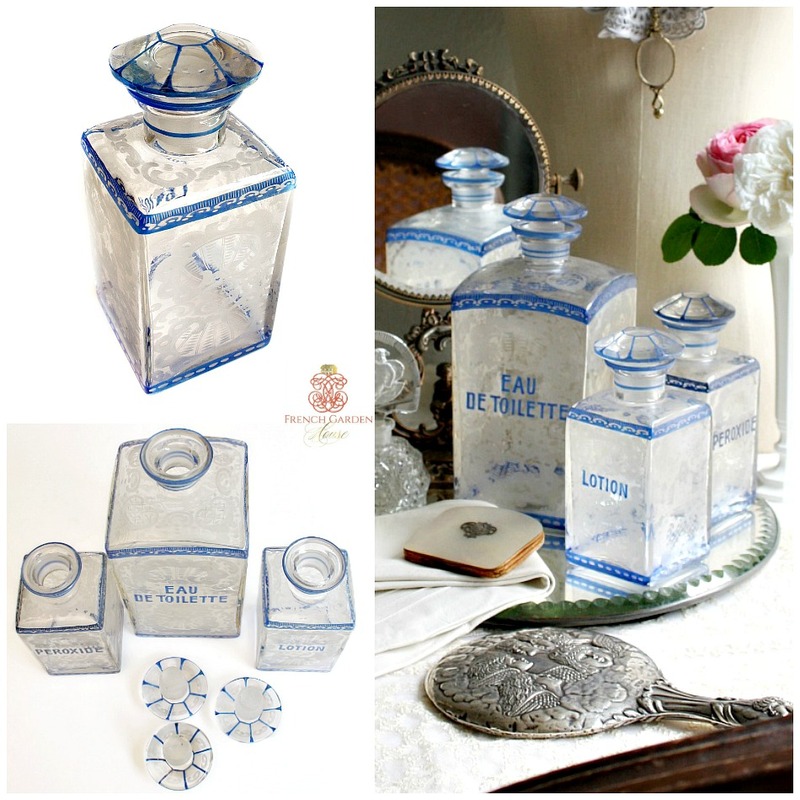 The sides of the bottles have ornate and dense designs, the entire set is a continuous display of this exquisite art work. 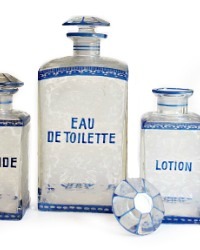 Each bottle has blue accents, and Eau de Cologne, Lotion and Peroxide on the front. The stoppers are ground as is the top of the bottle for a tight fit. Outstanding, this is so very rare to find, the baroque patterns are engraved and so charming. 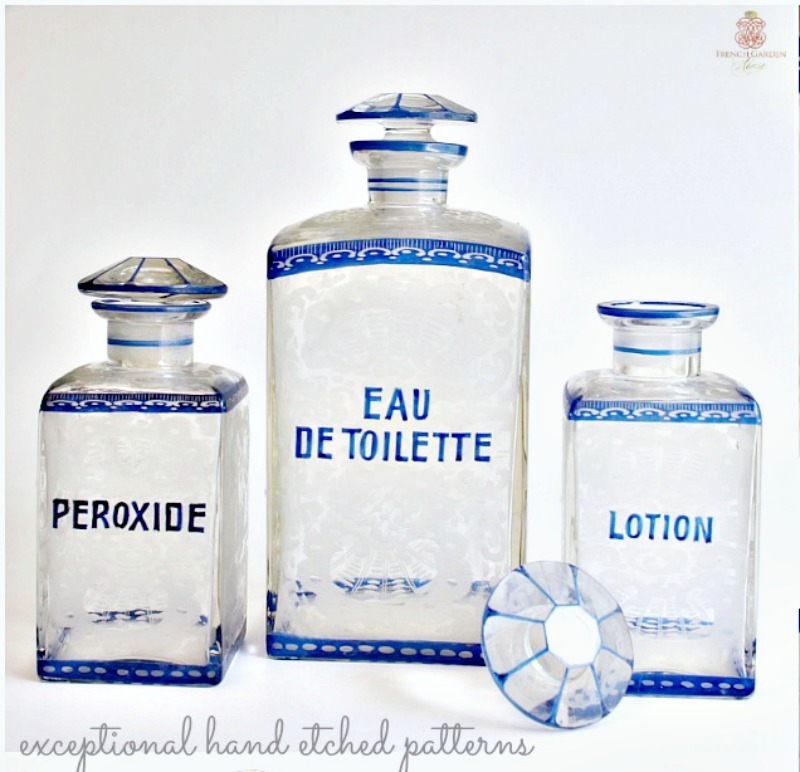 Luxury for your bathroom, French vanity, or to add to your antique glass collection. Measures: Lrg: 8" x 3-1/2"; Medium: 5-3/4" x 2-1/2".